The CCT Board meets at 6pm on the 4th Wednesday of the month at Deutsches Haus (off Airline in Metaire) and meetings are open to members and people interested in joining. The Haus usually offers a plate dinner for about $5. German beer will be available at a good price. Please contact us if you plan to attend in case of meeting date changes and so we can provide The Haus with a meal head count. 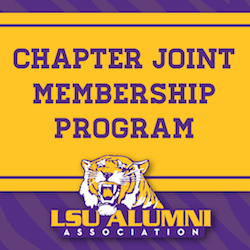 We also meet at Noon on "Tiger Tuesday" (which is EVERY Tuesday) at Mike Serio's Deli on St. Charles Ave 1 block off Canal St. near Common. Stop by and try the muffaletta that won the Bobby Flay Throwdown and talk about the Tigers! BATON ROUGE, La. Freshman right-hander Cole Henry struck out a season-high12 batters to propel the No. 10 LSU baseball team to a 13-1 win over No. 25 Florida to even the series Friday night. FAYETTEVILLE, Ark. The No. 9/6 LSU Softball team dropped game two of the three-game series with No. 19/25 Arkansas, 11-1 in five innings, on Friday evening at Bogle Park. The Tigers are now 36-11 on the year and 13-7 in the SEC. BIRMINGHAM, Ala. LSU fought hard throughout the third round of the 2019 SEC Women's Golf Championship but came up short as the Tigers finished in ninth place, one spot short of advancing to match play for the first time.